Keep it short: Headlines should be short and sweet. A good rule of thumb is limiting your headline to 65 characters or less. Remember, people usually scan headlines. Put your most important ideas in the first word and last three words of the headline for the highest impact. Use intriguing adjectives: Use adjectives to spark interest in your article. Interesting adjectives catch the attention of your audience and entice them to read what you have written. Remember to use adjectives that are relevant to your content. Use numbers: It’s no secret that people have short attention spans, especially when reading through content. Utilize numbers (digits, not words) to assist your readers in easily and quickly understanding your content. AVOID: Headlines fail for a variety of reasons. Avoid creating a headline that does not correlate with your content. This will lead to people not trusting you as an information source, negatively impacting you in the future. Also, avoid creating headlines that are too general. People want to know exactly what they are going to read prior to taking the time to read it. Headlines that are not specific have been shown to have lower open rates. 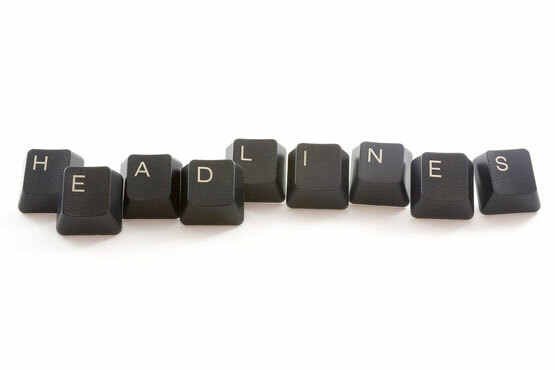 Still having trouble composing the perfect headline to grab your audiences’ attention? The Harmon Group is here to help. Our team of copywriters has the skills and expertise necessary to create headlines that lead to higher open rates, which translates into more people reading what you have to say. Contact us today to get started.